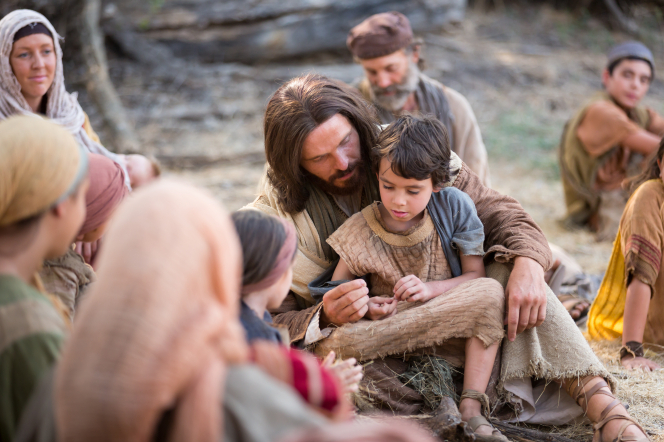 In Moroni 7, Mormon is addressing members who have sufficient hope to enter into the rest of the Lord and who walk peaceably with the children of men (Moroni 7:3-4). Coming unto Christ requires a spiritual sensitivity acquired only by those who are acting with no hypocrisy and with real intent (2 Nephi 31:13). Even a good man can be considered evil when his heart and intent are not pure, or he begrudges his service in the kingdom or to his fellowman. Thus, Adam was taught that the Law of Sacrifice included doing all things in the name of the Son (Moses 5:7-8). There is no exception to this law and covenant. It is designed to influence our lives from the time that we arise in the morning to our going to bed at night. It is to influence the way we treat each person, the types of an employee or employers that we are, the ways we dress and groom, keep our yard, take care of all of our earthly stewardship, etc. To the Prophet Joseph Smith and Oliver Cowdery the Lord commanded, “Look unto me in every thought; doubt not, fear not” (D&C 6:36). These are protections for us so that we will not be servants of the devil and so that we can follow Christ (Moroni 7:11). Those who are thus oriented will be better equipped to judge correctly and not judge that which is evil to be good. There is some “politically correct” nonsense going around today that we should not judge. However, Mormon makes it clear that it is given to us to judge so that we may know the good from evil. Elder Dallin Oaks has recently given an excellent talk on judgment and the necessity of judging and the types of judgments that we make(1). All things that persuade one to come unto Christ and believe in him are of God. We ought to fear and tremble as we watch references to God and Christ and the commandments slowly excised from our schools and our culture. We, as a nation, are in the process of changing good for evil and evil for good (Isaiah 5:20) and the Saints need to have a perfect knowledge of how to judge. Evil is being labeled as good and vice versa. Those things which lead us away from Christ and his commandments and to not serve God is from the Devil, which Mormon says that we can know perfectly (Moroni 7:16-17). Judgment is serious business as we will be judged with the same judgment with which we judge. Therefore, the light of Christ must be strong in us so that we do not judge wrongfully. Some judgments must take time and we must “search diligently in the light of Christ” so that we may know the good from evil. Satan is becoming sophisticated in his packaging and labeling of evil. We must be careful or we may be duped. By mistakenly judging good for evil or vice versa, we run the risk of losing the ability to lay hold of every good thing. The process of laying hold of every good thing is given by Mormon. “I am convinced that one of the profound themes of the Book of Mormon, one which may not yet have been developed enough in our teaching of young people, is the role and prevalence and central participation of angels in the everlasting gospel story. “May I suggest to you that one of the things we need to teach our students, and one of the things which will become more important in their lives the longer they live, is the reality of angels, their work, and their ministry. Obviously I speak here not alone of the angel Moroni, but also of those more personal ministering angels who are with us and around us, empowered to help us, and who do exactly that. “Perhaps more of us, including our students, could literally, or at least figuratively, behold the angels around us if we would but awaken from our stupor and hear the voice of the Spirit as those angels try to speak. Mormon is very clear that our hope is to be raised unto life eternal, because of our faith in Christ. He is also clear that one cannot have true faith and hope without being meek and lowly in heart, which leads to charity. (Moroni 7:41-43). Is it any wonder that most of the television programs and sitcoms teach pride, vulgarity, sexuality and all those things that mitigate against meekness and lowliness of heart? I see the young people try to emulate these things in their conversations with their friends and in the way they treat each other. The fear is that we as Church members are absorbing too much of the world as Nephi warned us that many of us would do (2 Nephi 28:14). He says that the humble followers of Christ would in many instances be taught by the precepts of men. We are to become finely tuned spiritual instruments filled with charity. We must shun these worldly images in our actions, dress and grooming. After all, true charity is actually a gift from God given only to those who pray with all the energy of their heart and are true followers of Christ (Moroni 7:47-48). It behooves us as Latter-day Saints to know for sure, by the power of the Holy Ghost, that the Book of Mormon is the word of God and to treat it with great respect and search out the hidden truths contained therein. If we treat the Book of Mormon lightly, we will be condemned and our minds will be darkened (D&C 84:54-58). We are in a trial period with a “lesser part” of Christ’s teachings to see if the Lord will make “greater things” known unto us from the larger plates. If we do not pass this trial of our faith, the greater things will be withheld to our condemnation (3 Nephi 26:6-11). The gifts of the Spirit are not gender specific. They belong to both female and male. In Mark 16:17-18, the Savior taught that the gifts of the Spirit will follow them that believe. Moroni, like his father Mormon, is quick to remind us that the running of the kingdom depends on these gifts. If these things are done away with then there are none that are doing good (Moroni 10:23-26). When the kingdom is well and healthy it is filled with the Spirit. Those who are expunging the things of this world out of their lives as they prepare for life in a better kingdom will be blessed with the gifts of the Spirit. I think it is singular that the Book of Mormon closes with an appeal to come unto Christ and to be perfected in him. We must understand that it is ultimately the power of Christ that saves and perfects us. If we feel that we have the power to perfect ourselves then we “deny his power.” Moses taught very clearly that only Christ (the LORD thy God who is Jehovah/Christ) could circumcise our hearts (Deut. 30:6). King Benjamin taught this same principle that only faith in Christ could change our hearts (Mosiah 5:7). They only way we can make the changes necessary for perfection is to yield our hearts to him (Helaman 3:35) to make them pure and sanctified. We are finally reminded by Moroni, that the blood of Christ is in the covenant of the Father (Moroni 10:33). Therefore, all covenants that we make imply that we know that it is by the power of the atonement of Christ that will purify and purge us so that we will be perfected in him.